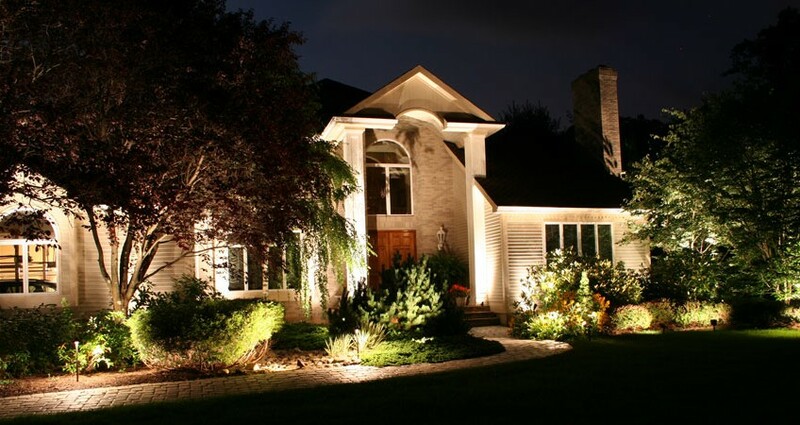 If your landscape lighting system isn’t used for a few months, or even a few years, then serious issues may develop that impact normal operation. Even if you use your lights every day, as time passes, they are going to get older and be prone to more damage and issues. The major components of the system, such as the fixtures, bulbs, transformers, and wires may fail as time passes. One issue, or a combination of problems, may lead to serious lighting malfunctions. While this is true, do you know when it is time to throw in the towel and invest in new lights for your landscape? If not, the information found here is for you. One of the most obvious signs of a problem with your landscape lighting is if there are damaged or broken parts. Take some time to carefully inspect all the lights. Look for things like exposed wiring on the ground, or fixtures with visible damage such as a broken outside housing. If this issue is present, it can allow damaging moisture to get into the interior electrical components. At this point, the only option is replacement. If you have a hardwired landscape lighting system, then it is going to use several different circuit breakers and fuses to control the electrical flow going to every outdoor light. If your system has been offline for a while, then the issue may only be a tripped breaker or a blown fuse. If you discover that your landscape lights have a dimming or flickering issue, then it’s a good idea to consult with a professional. There may be an electrical short somewhere in the system, and it could pose a serious electrocution risk if you attempt a DIY repair. If none of these issues help fix the problem, then the solution is going to be to replace the existing fixtures and wiring with something new. If you have just replaced one, or several, bulbs in your system, but then they failed soon thereafter, then there may be one of two issues present. If you have purchased poor quality bulbs, they may have a short lifespan. As a result, you may just need to invest in something that’s going to last. Another problem is bulb handling. The oils on your hands can break down the coatings on the bulbs, making them susceptible to failure or breakage. Keep in mind, if your fixtures still us inefficient, halogen light bulbs, then it may be time to consider an upgrade to energy efficient LEDs. If you need help with your landscape lighting, then one of the best things you can do is to contact the professionals from The IDL Company. They can diagnose the problem and recommend the best solution.